Often described as the cultural, financial, and entertainment capital of the world, Manhattan County needs little introduction. 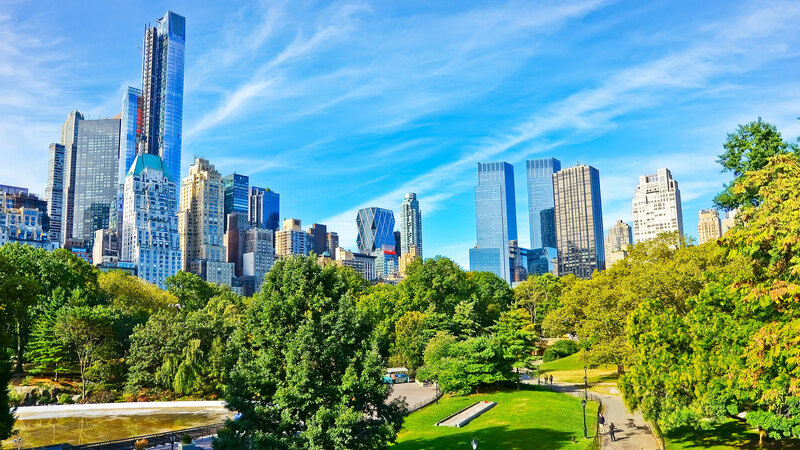 Home to the most densely populated of New York City’s five boroughs, the island offers a bustling city energy for residents and visitors alike. Its famous grid-like layout makes it easy to navigate and helps to frame out the collection of unique neighborhoods that make up Manhattan’s diverse cultural atmosphere. Most of the county’s real estate features brownstones, townhomes and apartments, with new development constantly on the horizon as more and more people choose to call the city home each year. Upper Manhattan features a primarily hilly landscape and cozy neighborhoods removed from the chaos of downtown. While not considered a major tourist center, residents like the affordability and peaceful vibe of some of the area’s best-loved streets. Midtown Manhattan features many of the city’s most iconic buildings. Tourists line up daily to soak in the city skyline from the top of the Empire State Building. A central hub of the borough’s main commercial zones, Midtown is home to Rockefeller Center, Broadway, and Times Square. Fifth Avenue commands some of the highest retail rents in the world, attracting an obscene amount of daily foot traffic. Lower Manhattan, known to many as Downtown Manhattan, is the center of the county’s business and government. Home to the Financial District and the Civic Center, Lower Manhattan is where deals are made. Residents flock to trendy neighborhoods like SoHo and Chelsea for authentic cultural experiences and up-and-coming restaurants. The area houses some of the city’s best arts and leisure destinations, making it an absolute must-see for tourists. For those looking to be at the center of it all, Manhattan County is a no-brainer.